Yumthang valley is a beautiful valley in Northern Sikkim, surrounded by lush green trees, colorful rhododendron flowers and yaks grazing peacefully in the pastures. Take permit to visit the valley as the location is close to the Indo-China border. 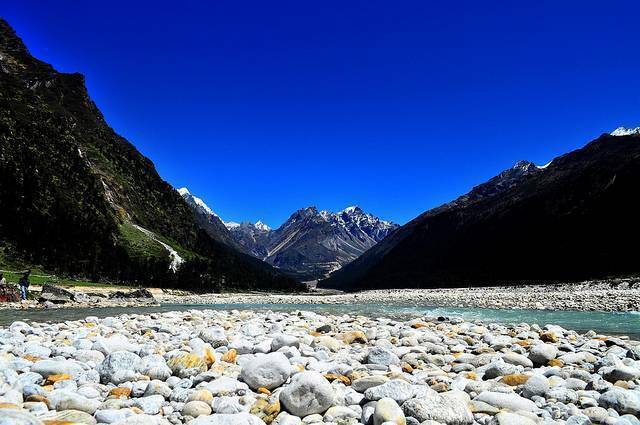 A seven hours drive from Gangtok to Lachung village will take you to Yumthang Valley. Overnight stay at Lachung, followed by an early morning visit to see the mesmerizing natural scenery of the Yumthang valley makes the entire trip totally worth it. Yumthang remains inaccessible between December and March due to heavy snowfall in the area. Yumthang valley is about 150 KMs from the Gangtok.